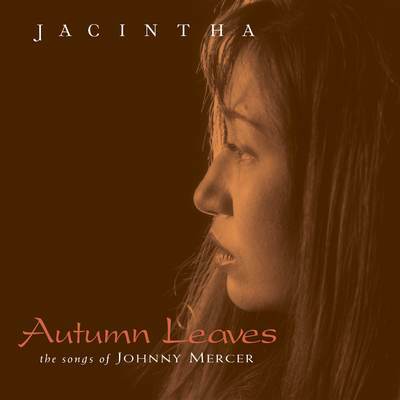 When Ying Tan told me that Jacintha’s second album for Groove Note would be a collection of Johnny Mercer songs, I felt a quickening of the pulse. Here surely would be a recital of rare sympathy: one of the most purely romantic of all lyricists interpreted by one of the most ravishingly beautiful voices to come along in jazz and popular music this last quarter century. Few new singers of standards display as much awareness of the performing traditions of the American popular song as this Singapore-born and raised jazz singer, whose first album for Groove Note paid explicit tribute to the great tenor saxophonist Ben Webster. But in her arrangement of the material and her approach, which placed primary importance upon the lyrics, the implicit acknowledgment was to Frank Sinatra, the greatest singer of the American popular song. This new collection, however, finds her far more in the mode of a jazz singer, evoking the leading lady of the American popular song, Ella Fitzgerald.